UFC 210 wasn’t quite what we expected. Our predictions weren’t terribly off if this night had been your standard UFC event. There must be something in the water in Buffalo because this night was anything but normal for UFC. There was a debut, drama, and devastating news at UFC 210. Here’s what our resident UFC Guru Mark had to say about the night. Everyone knows we love making predictions around here. Today is no different! We’re looking at the upcoming matchup in Buffalo, NY – UFC 210. This card is one we’ve been waiting on for a few months; Cormier vs Johnson 2 for the World Light Heavyweight Championship. Along with the title fight, Weidman vs Mousasi is a match up we’re thrilled to see. As avid fans and in-house experts, Mark Rhodes and Darragh Farrelly are breaking down these two fights for you. There’s no denying that Cormier vs Johnson 2 has been one of the most anticipated rematches in UFC history. This historic battle will go down in Buffalo, New York for the first time in over 20 years. Light heavyweight champion Daniel Cormier will face No.1 Anthony Johnson for the second time in the Octagon® and we’re thrilled to be there. Chris Weidman will also be on hand to face Gegard Mousasi to fight for the right to a title fight. This is a matchup you can’t miss and here’s why. The UFC is back in New York for the third time in just four months. UFC 210 is one we’ve been waiting for! 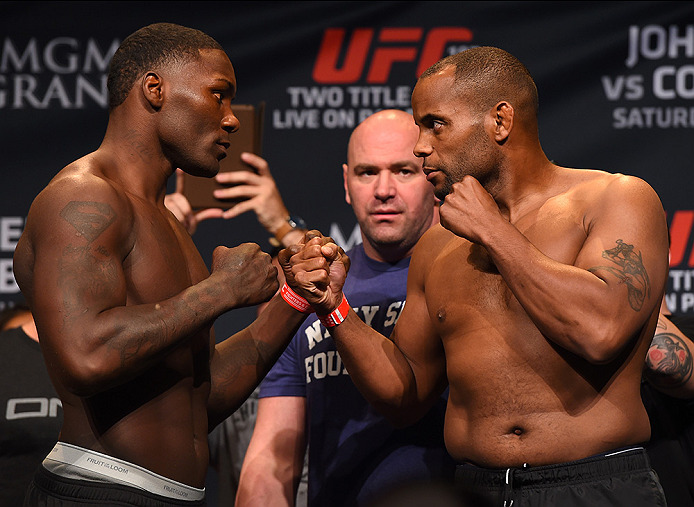 Cormier vs Johnson 2. The last time these two battled it out it was May of 2015. Cormier defeated Johnson via submission in Round 3. We can say with confidence Johnson is looking for redemption. Be there in person to see how this goes down. Here’s a breakdown of our packages on sale now!